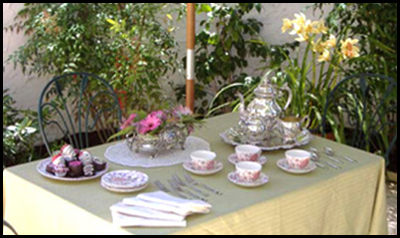 Volunteers bring the Rancho to life and contribute to the special feeling and authenticity that is found here. 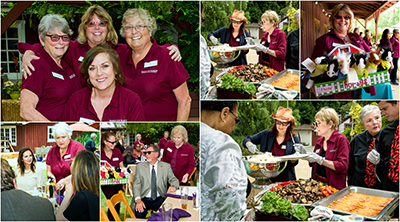 Through their creative efforts our many volunteers support every facet of Ranch activity. 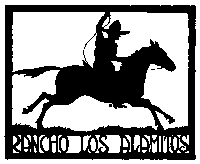 Rancho Los Alamitos Foundation will recognize, honor, share stories and enjoy the company of its more than 200 volunteers. Step into the California Rancho period at this magnificently restored "Ranch of the Little Cottonwoods", including four acres of nationally significant historic gardens, a ranch house (1790-1933) and barnyard — all of which served as home to three generations of the Bixby family. In this setting, a trio of virtuoso musicians will take you on a one of a kind musical adventure blending Bach, Bluegrass and Celtic guitar — a musical journey featuring unique and compelling arrangements of Baroque music with detours along the path to gentle and foot-stomping American fiddle tunes. 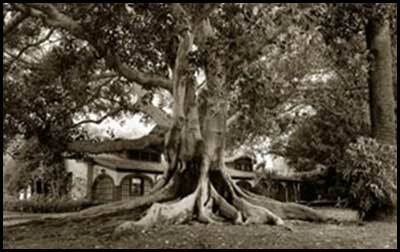 Rancho Los Alamitos Festival: Arrive early and explore the rancho's extensive grounds, gardens and historic buildings (docents available throughout the afternoon). 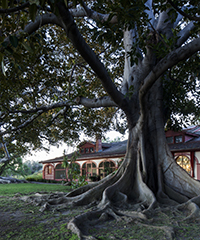 Then, enjoy a picnic lunch (separate purchase, details available in early-April) beneath a canopy of historic Moreton Bay fig trees on the lawn of the ranch house. Make your reservations at DaCamera.org. The Rancho will be closed on Mother's Day as most of our volunteers want to be with their families. Honoring Steve Goodling and recognizing Jean Bixby Smith and Barbara Bixby Blackwell of Rancho Los Cerritos. The Cottonwood Award recognizes individuals and organizations who have shown significant leadership in enhancing, promoting and supporting the cultural communities of the Southern California Region. Tickets and Sponsorships >. During the entire month of July (excluding holidays), the Rancho's Museum Shop will be hosting a pop-up shop featuring the work of local artists. Stop in to view and purchase the unique designs of our community's creators including jewelry, glass, specialty foods, home and garden décor and more. ... and more to come. Stay tuned (and check back soon)!